Just because you have amazing content doesn’t mean people are going to read it. Having incredible visual content, research and facts may make your content stand above everything else but if you don’t have an epic headline to help drive traffic to your page then all time spent on a post won’t reach the people you want. To grab people’s attention, you need to have the perfect headline and image to appeal to your audience enough that they’ll click that link. Coschedule was able to pull over 1,000 headlines from the most popular posts and analyze what headlines performed best on social media. 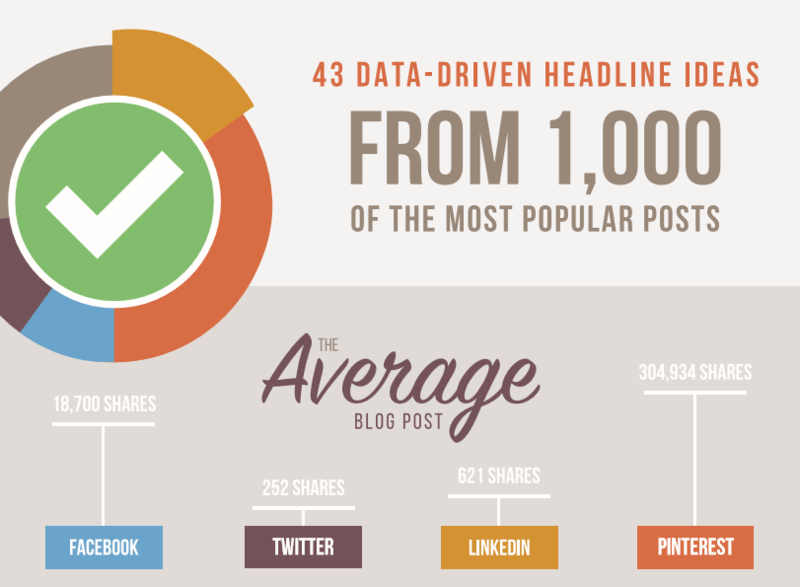 Here’s the breakdown on how to write the perfect headline. Make it sound so easy it would be stupid not to read it. Position your blog post as the ultimate guide for the specific information. Appeal to your reader’s emotion to save money. Focus on a specific use. Stand out with extensive list posts. Build on your previous successful posts. Intrigue your readers with mystery.